Sales and marketing form the backbone of every business that positions itself to succeed. However, a little more than these two processes is needed – technology. Businesses that continue to thrive and maintain a consistent growth pattern are those that are never shy to embrace changes including technological advancements. For example, most high-achievers have moved their sales and many other processes to cloud-based systems which facilitates communication, creates more personalized customer support, and increases productivity among other benefits. In this post, we explore how leveraging cloud computing can help boost sales and ultimately business success. Being an all-around solution for businesses, cloud technology comes with numerous tools that management can use to analyze human behavior. For example, sales managers can easily track their entire team’s workload using cloud-based problem management systems. This helps in simplifying their decision-making process thereby making tasks such as allotment of responsibilities and communication between team members more simplified. Some cloud systems also support automated monitoring and access to performance metrics of teammates in real time. Employees upload group projects to a centralized system that keeps track of the progress. Through this, sales managers can quickly identify existing strengths and weaknesses and apply prompt corrective measures. Customer relationship management (CRM) can simply be described as how sales employees relate with customers in an attempt to gather crucial information concerning the target market. Cloud-based systems enhance this process by minimizing the time taken to interact with customers physically. Besides, these solutions also provide storage for client contact information and enable easy access when needed. Cloud CRM systems are increasingly getting integrated on mobile platforms like phones and laptops. This way, businesses can collect useful market data while offline and later synchronize it with CRM systems when the internet is in reach. As a result, it becomes easier to understand specific customer needs, ultimately enabling businesses to deliver targeted products and services to users. One key area where cloud-based solutions can transform a business or organization is in real-time reporting and collaboration. This technology diminishes the need to depend on periodic sales reports which are not only time-consuming to compile but also prone to errors. A well-customized cloud infrastructure ensures that there’s always a steady stream of sales data to the relevant parties. This information is useful when searching for growth opportunities and for making timely adjustments to sales strategies. Additionally, cloud computing simplifies collaboration by facilitating easy sharing and viewing of information among team members. There are even cases where this technology provides members with collaborative social spaces to enable them to connect and engage with each other. If implemented correctly, cloud services can have a direct positive effect on sales efficiency and goals. For example, businesses can take advantage of the technology to set up essential business features like automatic call logging, auto-dialing, invoicing, and emailing. They can make their work even more manageable by engaging other cloud-based services like PieSync or Zapier to sync data from several apps and services. The goal is to gather as much data as possible including customer feedback and using it to grow sales and reach more potential customers. Finally, cloud infrastructure breaks most geographical limitations meaning salespeople can work from nearly everywhere in the world. 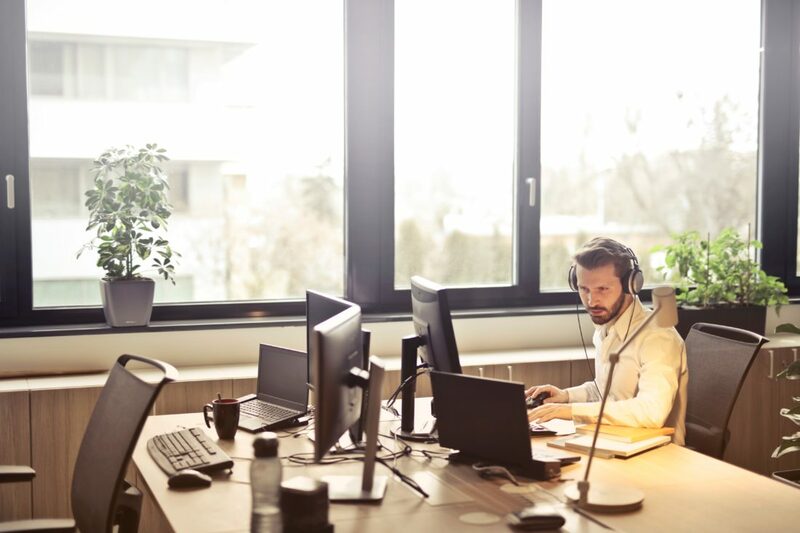 The improved work-life balance that comes with telecommuting is tremendously motivating and can contribute to increased employee satisfaction and productivity. The fact that cloud technology enables you to scale your IT resources on demand is a good reason to transfer your sales systems to the cloud. Consider this scenario – you are running an exciting Black Friday promotion and your business records a massive surge in the number of visits and transactions. Typically, this is enough to jam some of its systems like the bandwidth and storage. However, with reliable cloud computing solution, this doesn’t have to be the case. Your IT system provider should be able to handle the ensuing variability and rapidly scale the level of resources to match the growing demand. The ultimate goal is to ensure your customers do not experience any dip in the performance of your business which is vital in boosting sales and loyalty. Let’s admit it, when a personal computer crashes or gets stolen, nothing hurts more than the lost data and programs, particularly if you didn’t have any backup system in place. A similar feeling could be attributed to losing your sales data in the event your local hardware malfunctions. If you haven’t transferred your systems to the cloud, these are some of the risks you’re taking. Move today and sleep more soundly at night knowing that all your crucial business data is in a safe place.